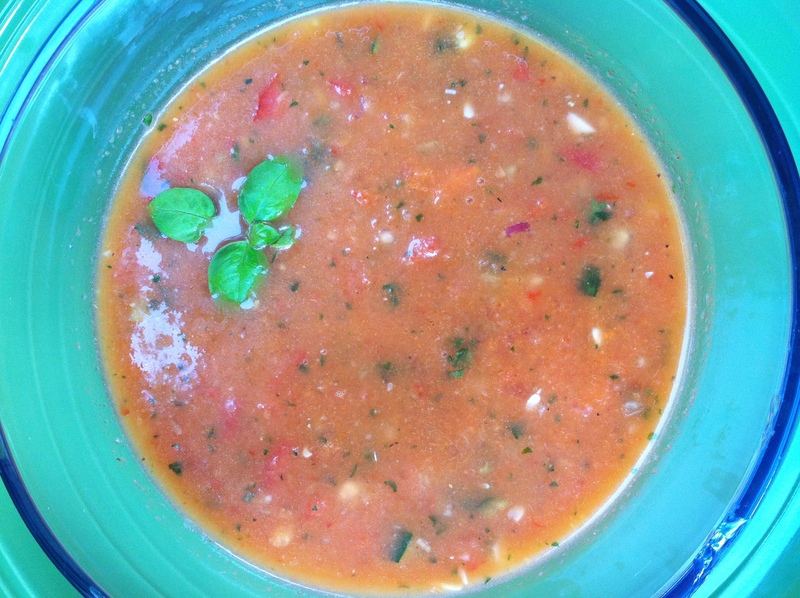 Watermelon Gazpacho BEFORE IT’S TOO LATE! I know Summer is officially over but it’s NOT QUITE OVER until you have that last watermelon. Well. My last watermelon came and went with this tremendous Watermelon Gazpacho that was inspired by a hot weekend at Lockn’ Festival. Takes 10-15 minutes to make depending on how soupy you want it. I did about half and half because I like it thicker, but as you can see, the chunks were submerged in a fully blended liquid. Chop about 3 cups of watermelon and put a little more than half of it in a blender. Chop a cucumber, red pepper, and red onion, and put a little more than half of those in as well. If you want any heat, add a chopped jalepeno here, I used half of one. Add about 2 tablespoons of lemon juice and 1 tablespoon of olive oil and puree. Finely chop the remaining ingredients (or leave them big if you want) and put them in a large bowl with salt and pepper to taste. Once the blended ingredients are smooth, pour them in the bowl, and mix to the two to fully combine. Taste here for s&p needs, and cover, letting the flavors meld in the fridge for an hour (if you can wait). Stir before serving, and enjoy!